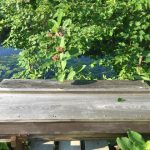 On July 5th I headed to Harvard to check in on all three hives there. 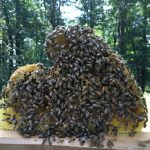 Since I would be leaving to Norway on July 7th and be gone for 25 days, I wanted to do a very thorough inspection of the hives before that. 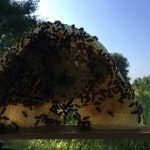 The Willow Hive was split 2 weeks ago, the Orchard Hive has a young queen, and the Healing Hive was queen less the last time I was in these hives. 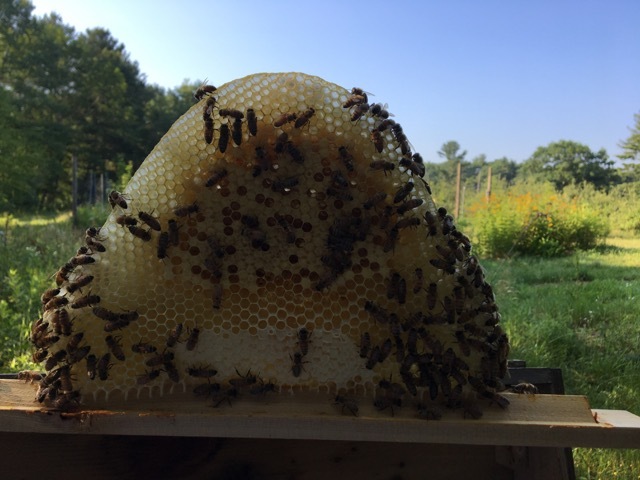 The goal for this inspection was to make sure each hive had what they needed and plenty of space to grow. 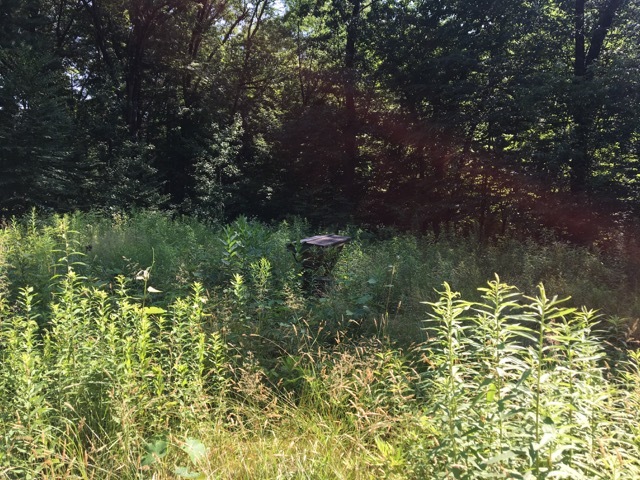 It will be about 4 weeks before I will be able to get into the hives again. 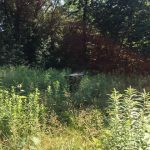 The Willow Hive was my first stop. 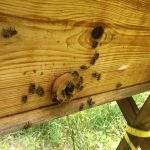 After splitting this hive the last time I was out, I wanted to see how things were going. 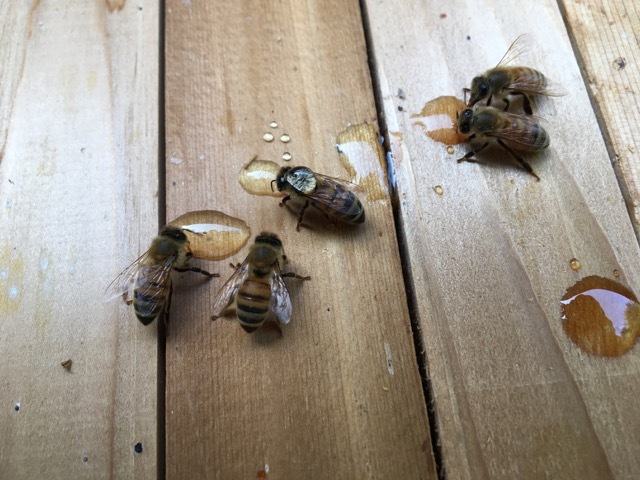 The colony had capped queen cups when I did the split, but I am not sure how long they had been capped. 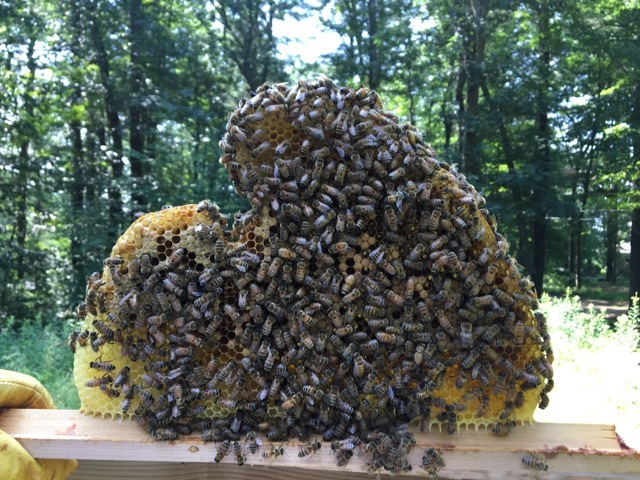 I was hoping to find a new queen this time, but all I found were very grumpy bees. It was very obvious that they are still queen less just by how angry they were that I was there. The colony has 31 bars, but I only inspected 14 of them. Out of the bars that I looked at 5 of them were empty. 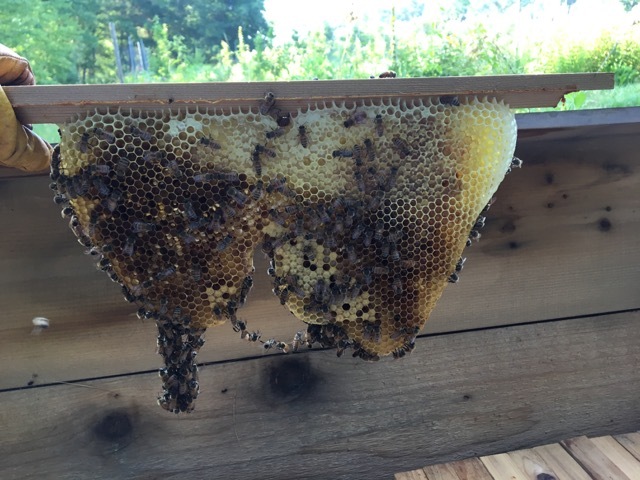 There was nectar on 9 of them and capped honey on 5 of them. 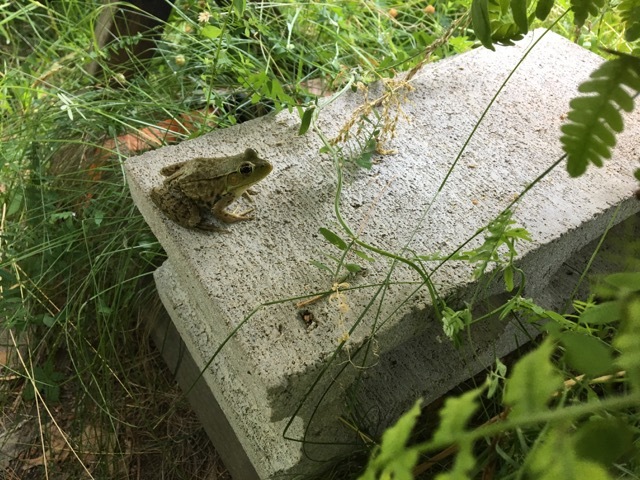 Capped brood was on 8 of them, but there were no eggs or larvae. 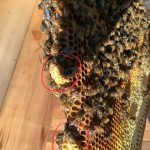 During the inspection, I found 7 queen cups and 5 of those were capped. A new queen will emerge soon. It will probably be a very good thing for me to not get into the hive for these 4 weeks. That will give them some time to get settled. 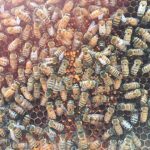 Once the queen emerges, she will need some time to mature and then she will be able to go out on her mating flight. 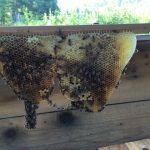 As long as she mates well and makes it back to the hive, they should be in good shape when I get home. It should still be early enough for the queen to find drones to mate with. 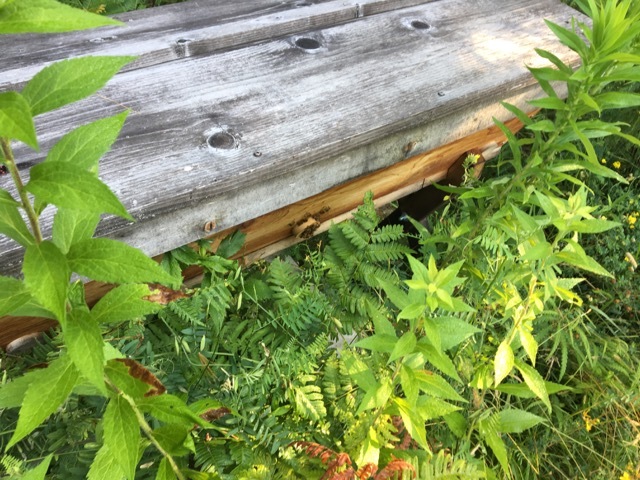 I am looking forward to inspecting this hive when I get home to see how things went and hopefully find a healthy queen. 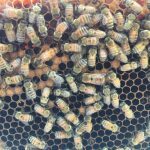 The colony will be much happier with a good queen. 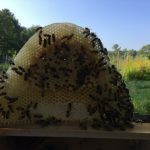 At the Orchard Hive it was a very different feeling. 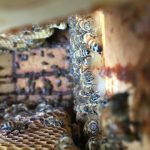 These bees were calm and easy to work with. 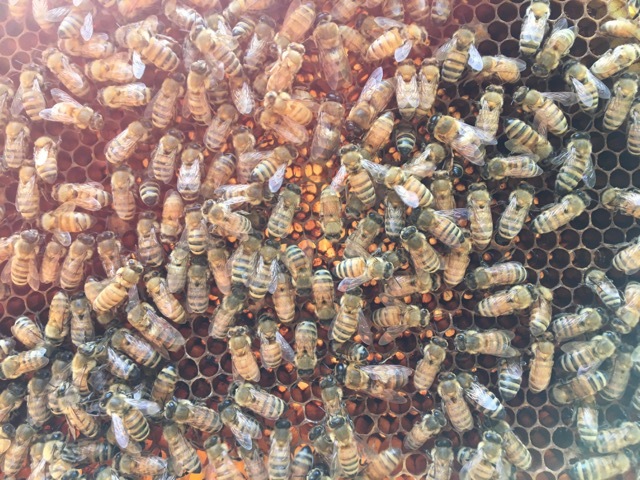 I was able to find the queen and she is doing well. They were on 21 bars and only 1 of them was empty. I added 5 more bars for them to grow on. 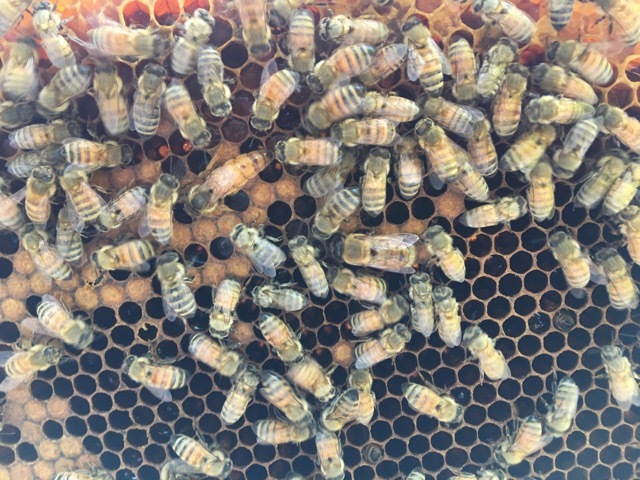 At first I had only added 1 bar, but then I realized that they would need more space with a laying queen. 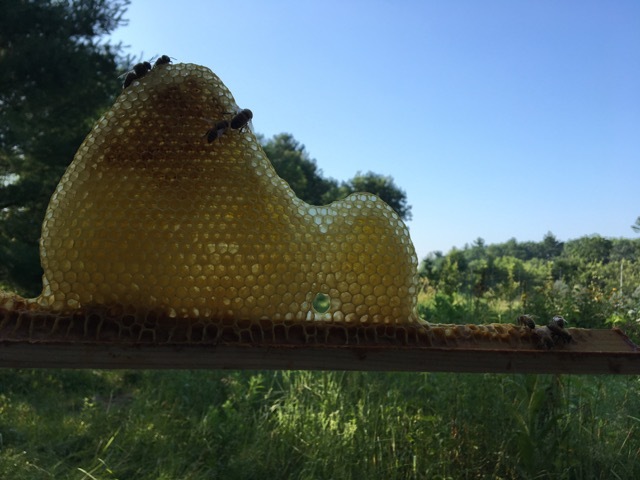 There were 6 bars with eggs, 11 with larvae, and 14 with capped brood. 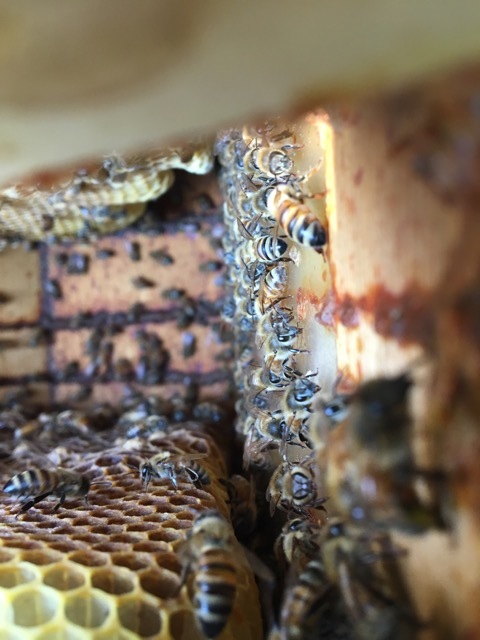 This new queen got right to work. 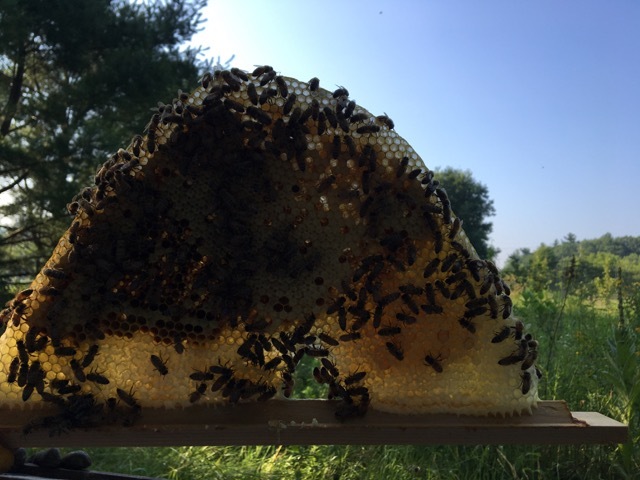 The foragers have also been working hard filling 19 bars with nectar and 16 of them had capped honey. 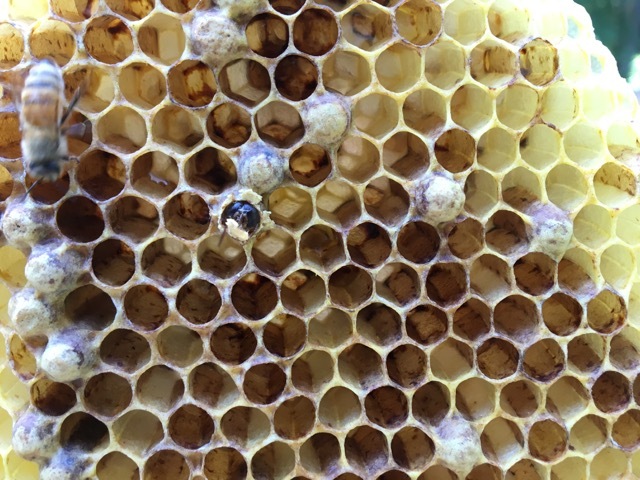 These bees are so much happier now that they have a healthy queen. It made this inspection quite easy. 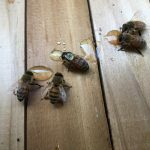 The colony in the Healing Hive sounded differently today. 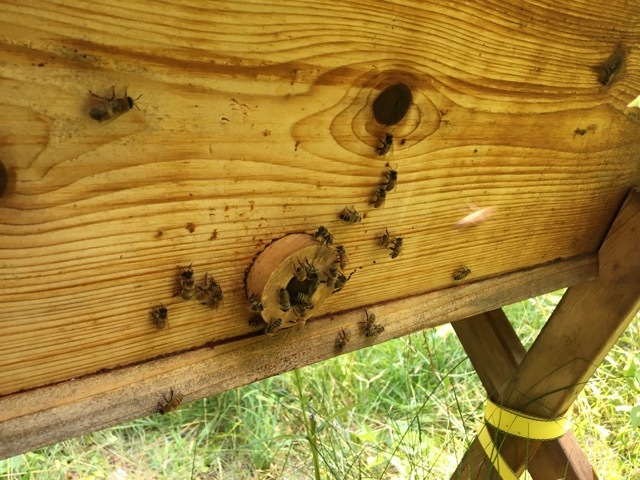 Their buzz was not happy, but not angry. 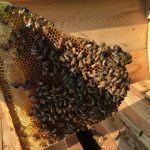 It was a low buzz that was similar to the one that the Orchard Hive had when they replaced their queen. 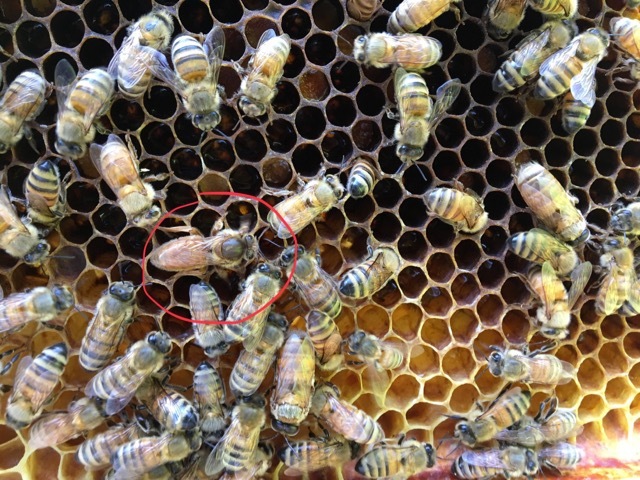 Much to my surprise I got to see the new, unmated queen in this hive too! 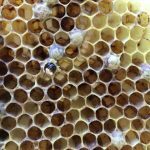 It is exciting to learn and see new things in the hives each year. 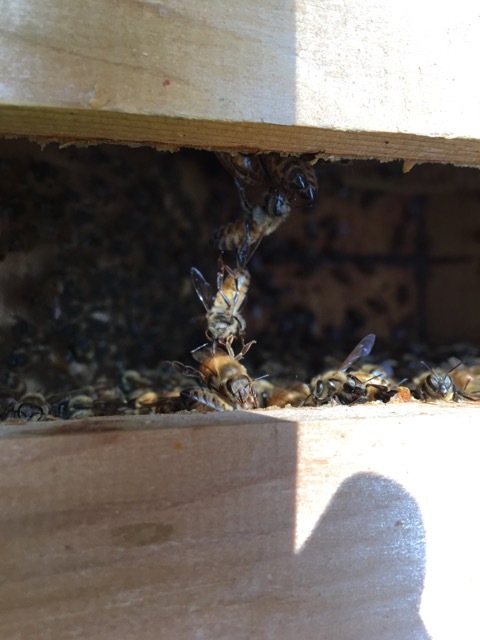 It was very obvious that the colony has accepted their new queen and they were pleasant to work with. They were on 29 bars, but 7 of them were empty. There were 2 bars with tiny pieces of comb started on them. 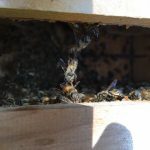 It was good to see them building again, when there was no queen they had stopped building new comb. 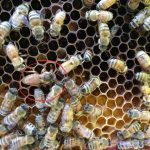 There was no new brood, but I queen still needs to mate so that wasn’t a surprise. 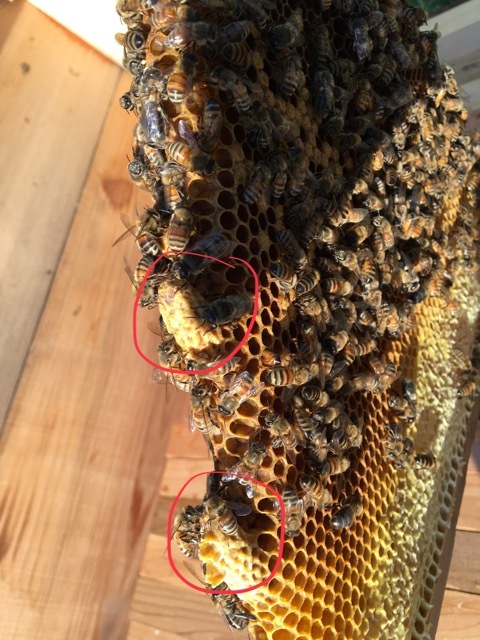 They had 18 bars with capped brood on them. 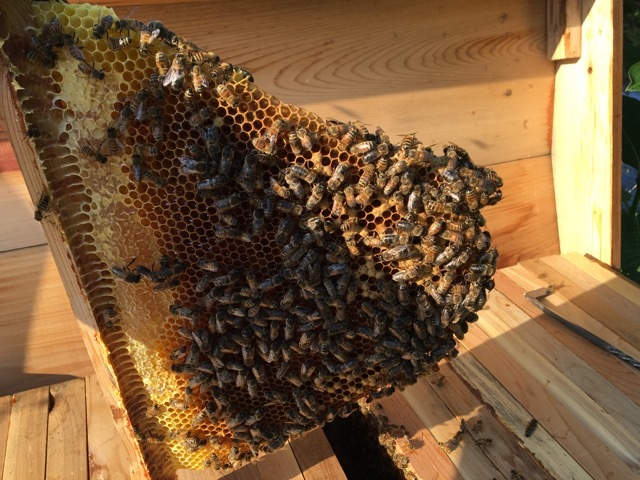 In the hive there were 20 bars with nectar on them, but no capped honey. 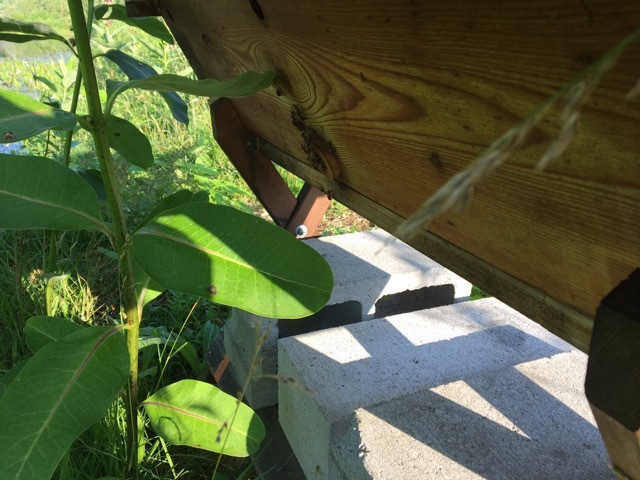 This is the only one of my 4 hives that does not have capped honey. I am not sure why that is, they have nectar. 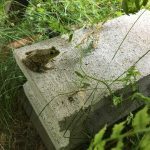 It is possible that it has something to do with the forage that they have collected. I will have to keep an eye on it and see if they increase the amounts soon and start capping it. 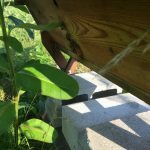 During these inspections, I tried to set up all of the hives so that they will be fine for the 4 weeks that I am gone. Last year at this point I was able to go between 4 and 6 weeks, but this season has been extremely different. 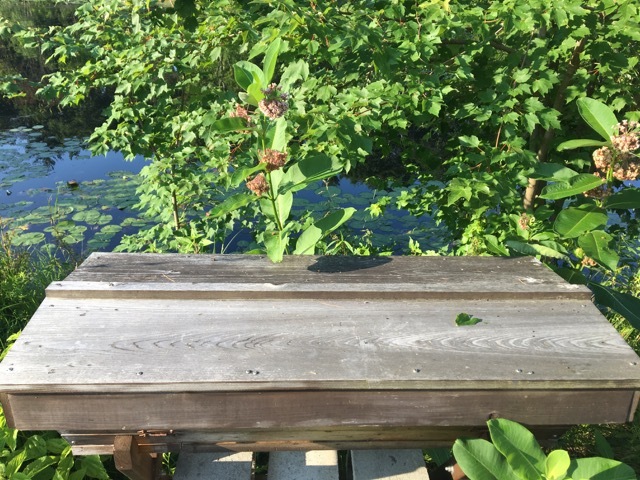 The bees have kept me on my toes this year. 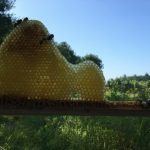 My adventures in beekeeping have been better this year, I think that it helps a lot to listen more to the bees and pay attention to each colony as an individual. It allows me to address their needs better and I learn so much more from them.